While roaming around in Good Housekeeping's online site, I came across this sweet house. Packed full of some incredible Mid Century decorating. 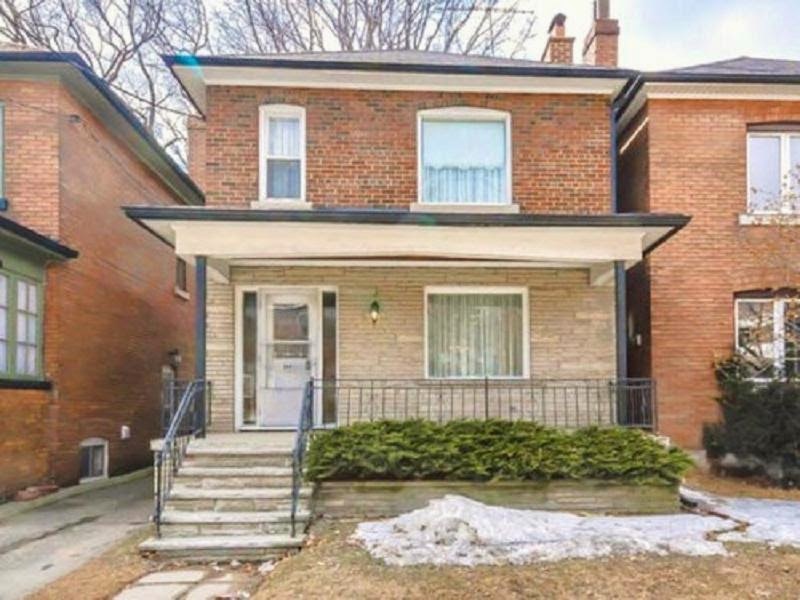 I am not convinced this is a true time capsule home. Or a home that someone spent a lot of time and care to decorated to the time period. Either way... it is packed with lots of color. How about some lilac carpet? Or a nice turquoise velvet arm chair? How amazing is this bedroom? I am so tired of seeing 50 shades of brown thrown all over the current home market. As if it is some accomplishment to match all your browns together. What happen to having a little color in a room. 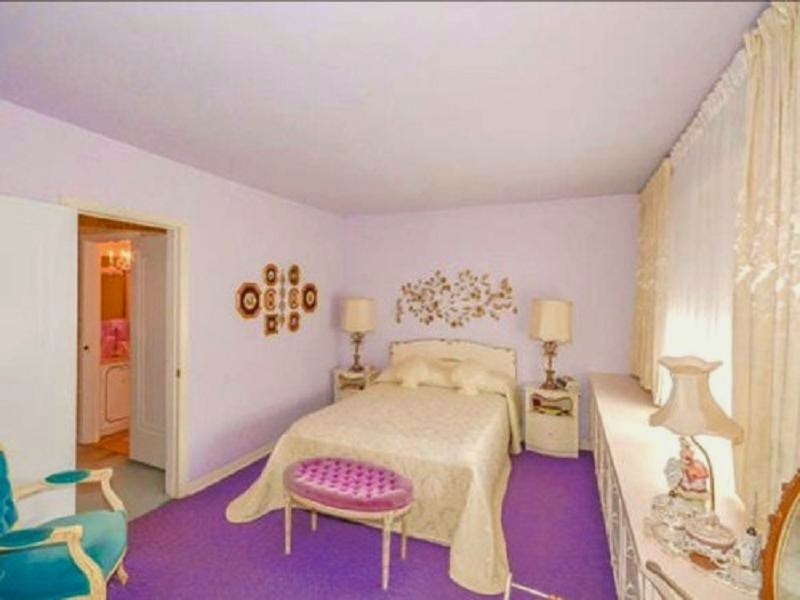 How could one wake up depressed in a bedroom with lilac shag carpet?!? 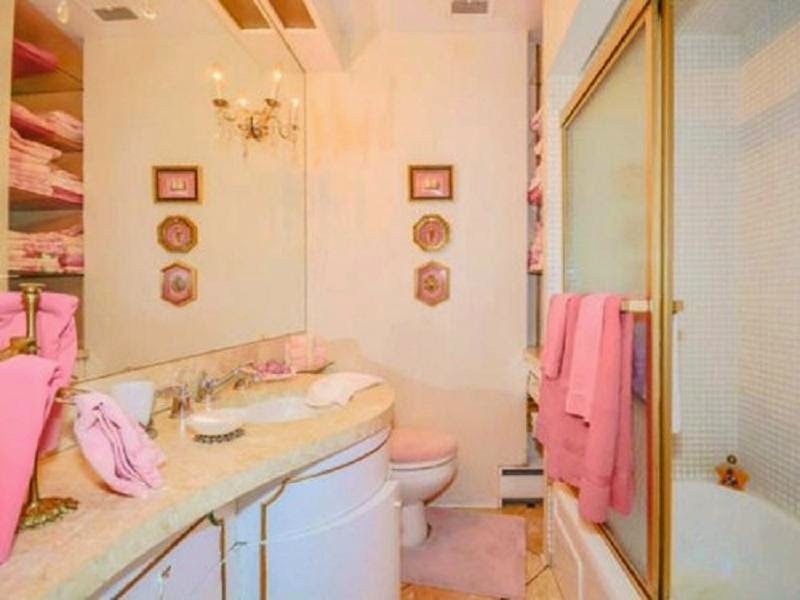 Of course it has used the color pink.... for the decorations in the bathroom! There is eleven amazing pictures of this home to look at... be sure to take a peek at that basement picture. Oh My GOODNESS!!!!! I love, love, love the colors in this house! I'm with you about all the browns, beiges &, blech, grays that "everyone" is trying to push on us! I tell people that my house looks like a box of crayons exploded in it...a bit of an exaggeration perhaps, but I am surrounded by pretty colors & I wouldn't have it any other way! This is amazing. Did you click over to the hgtv link? It has 31 pictures. I am in love.